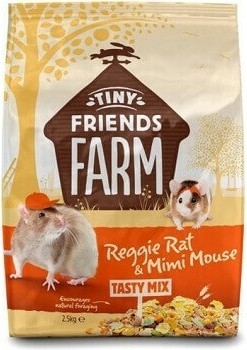 A complete food suitable for rats of all ages. A unique vegetarian mixture which is carefully formulated to provide your rat with everything he needs to be in top form. Wheat, corn, corn flakes, pea flakes, oat, soy flakes, alfalfa, soybean oil, locust bean, banana, vitamins, minerals, salt.